A hardworking 58 year old accountant was walking to work from the BART station, as she did every morning, in San Francisco’s SOMA district, when a vehicle failed to yield to her while she crossed in a crosswalk, and struck her. The pedestrian versus car accident caused her to suffer a compression fracture to her spine. She immediately complained that she was having a hard time breathing and walking. The collision had also caused a pulmonary contusion (badly bruised rib), which caused the pain to her chest while breathing. Although the contusion fully resolved a few weeks after the accident, the spinal fracture was a more serious injury. The woman was forced to wear a back brace to limit her movement for several months, take time off from work and take prescription medication to manage her pain. While the woman focused on her healing and wellness, Sally Morin and her team of personal injury legal professionals took on her case. Immediately, our team discovered that the policy limits ($100,000) held by the responsible driver would not be sufficient to pay our client’s medical bills, let alone compensate her for her out of pocket costs, loss of work, and pain and suffering. After a tireless search, we were able to locate additional coverage (an umbrella policy held by the motorist) that could possibly be used to compensate our client for the injuries she suffered. Unfortunately, this additional coverage did not come without a fight. However, this client was very grateful she hired an experienced personal injury lawyer who had been through the process hundreds of times to fight for her rights. Our initial claim for some amount of payment from the $1,000,000 umbrella policy was denied, but we refused to take no for an answer! The insurance carrier claimed that there was a “gap” in coverage, so the pedestrian accident would not be covered by the umbrella policy. What a “gap” means is that the motorist had $100k of auto liability insurance and $1,000,000 of umbrella coverage. However, the language of the umbrella policy required that the motorist carry a minimum of $250k of auto liability in order for the umbrella policy to apply. Sally and her legal team argued that regardless of the “gap,” this case was worth well over the alleged $250k that was required before the umbrella coverage would kick in. We added more documentation, evidence and testimony to the claim to continually build it to the point that the umbrella insurance carrier had no choice but to contribute $300k to the settlement – on top of the auto liability limits of $100k. 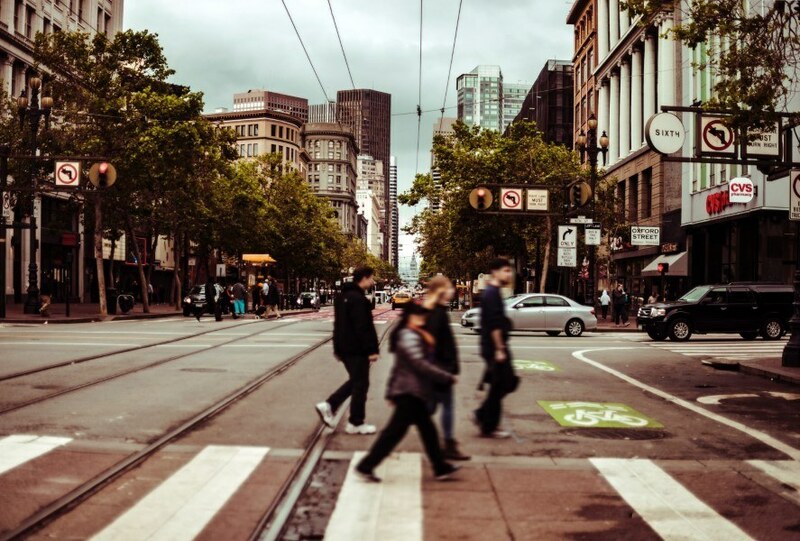 After a few months of negotiations, San Francisco personal injury lawyer Sally Morin Personal Injury Lawyers turned a denial into a six-figure San Francisco pedestrian accident settlement. During these negotiations, our office also reduced her medical bills by over $22,000.00, which resulted in the woman taking home more than $225,000.00 after payment of all medical bills, legal fees and costs. This sum will allow her to relax and continue on her road to healing without a worry into how she will pay her bills.